A second former member of the paramilitary death squad allegedly founded by former President Alvaro Uribe and his brother asked to be allowed to testify before the country’s war crimes tribunal. The son of Uribe’s former employee, Juan Monsalve, was blocked from testifying before the Special Jurisdiction for Peace (JEP) because he had surrendered to justice as a member of “Los Rastrojos,” a business associate of the now-defunct paramilitary organization AUC, which did not formally take part in the armed conflict. Pablo Hernan Sierra, a.k.a. 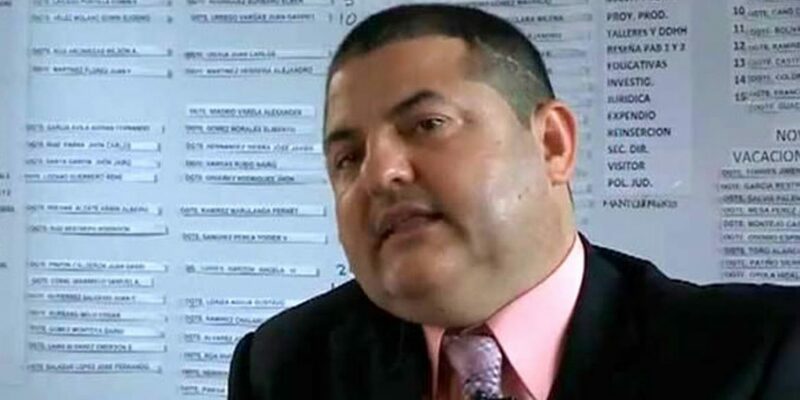 “Alberto Guerrero,” demobilized with the Bloque Cacique Pipinta, a member group of the AUC and could be allowed to confirm Monsalve’s claim that the Uribe brothers founded Bloque Metro before the JEP. The Bloque Metro never took part in the AUC demobilization because its leader, “Doble Cero,” fiercely objected the drug trafficking activities of other paramilitary leaders, and was murdered during the AUC demobilization process between 2003 and 2006. At the height of Bloque Metro’s power around the year 2000, the group had as many as 1,500 of fighters, and was among “the most militaristic and blood-thirsty” of all paramilitary groups, according to the expert prosecution. In Antioquia, the group left at least 4,000 victims. The possible testimony of one of the last-surviving witnesses of Uribe’s alleged organized crime activities, could mean major trouble for the ex-president and political patron of President Ivan Duque. Uribe himself cannot be tried by the JEP, but evidence presented there must be forwarded to the ordinary justice system, in which a conviction would end in the former president going to prison for sponsoring terrorism. Uribe is already linked to four other proven war crimes, but many witnesses linking him to war crimes have been assassinated over the years. Duque launched a major attack on the JEP Tribunal last week, challenging its legal basis and causing a constitutional stand-off between the executive and judicial branches of government. Uribe and his far-right Democratic Center party have long been strongly critical of the JEP, but this recent attempt at derailing its processes has been met with popular outrage: marches are planned across the country today. These are by no means the first accusations of this sort: Sierra made these statements for the first time in 2014, and Uribe sued for slander in an attempt to silence him – without success: the former paramilitary fighter was acquitted in 2015. The Bloque Metro was not investigated by any court until 2016, because the group was excluded from the so-called Justice and Peace process that followed the AUC’s demobilization. The group’s rejection of drug trafficking kept it out of sight of US prosecutors. Sierra and Monsalve have testified that Bloque Metro was founded at the Uribe family’s Guacharacas estate. Various wealthy landowning families are implicated in the creation of paramilitary groups, particularly providing funding and logistical support for armed groups in the 90s, but many were never investigated for sponsoring some of the most violent groups that took part in Colombia’s armed conflict.